If an OUTDOOR ADVENTURE HOLIDAY is what you're seeking, then you can do no better than take a 4WD safari tour to Cape York with NorthWest Safaris. To stand at the most northerly point of Australia is a dream of many who enjoy travelling to remote areas. 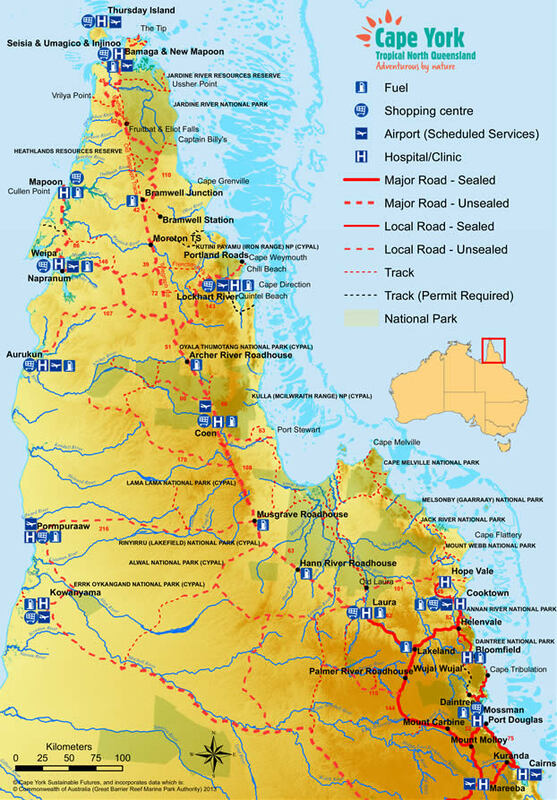 Cape York is an area of Australia UNTAMED AND WITH A COLORFUL HISTORY of Aboriginal & Torres Strait Islander occupation, exploration and mining. 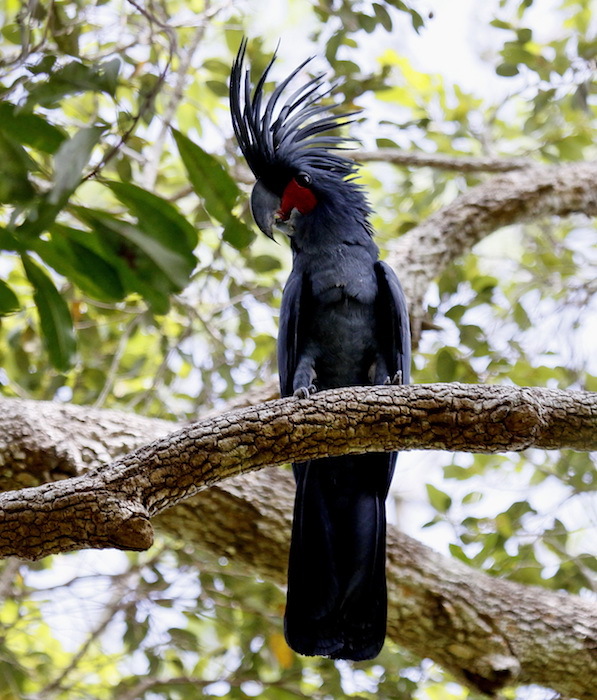 The area has a diverse range of scenery, flora and fauna making this Cape York Tours Safari a birdwatchers paradise. Cape York also is a region of secluded beaches and rugged remote beauty. 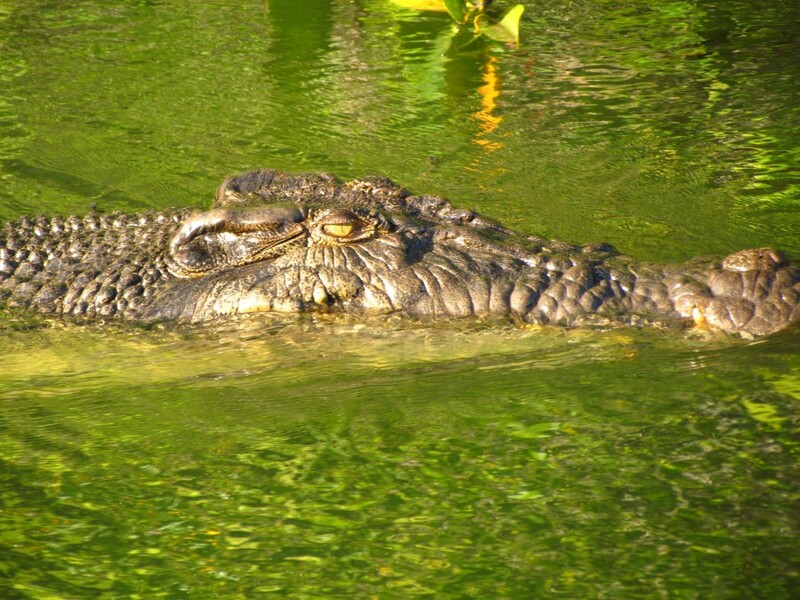 Large saltwater crocs inhabit streams, lagoons, & coastal areas. There are the mighty river systems and its tributaries, making a 4WD a necessity for crossing creeks and even some rivers. BEAUTIFUL WATERFALL Fruit Bat Falls are a welcome sight for a swim in the crystal clear cascading waterfalls. Explore the towns of Bamaga with its old war relics, Weipa an open cut bauxite mining town, Laura with its Aboriginal history and ANCIENT ROCK ART. 4WD safari through Lakefield National Park with its diverse, rugged landscape and MAGNIFICENT SUNRISES & SUNSETS. Further southeast is - Cooktown where a host of interesting museums and history retold, can be found. The Australian east coast of far North Queensland is incredible here, and can be viewed from Grassy Hill. World Heritage RAINFORESTS in this area are a must to explore - pristine and primeval. Cape York will inspire all who wish to visit and explore, from the dusty tracks that contrast dramatically with abundant river systems, the vast areas of UNEXPLORED WILDERNESS, diverse National Parks, sacred Aboriginal sites, Rainforests, steep mountains, rugged coastlines, secluded beaches and swampy marshlands. NORTHWEST SAFARIS, in the utmost safety with experienced and knowledgeable local guides on a well equipped safari will show everyone on the safari tour THE TIME OF THEIR LIFE.